Daniel Wadhams was my second cousin, thrice removed. He was born in May 1862 into one of the largest families of fishermen and bargemen in Strood, Kent. Some indication of the size of this family can be gauged from the fact that, at the time of his enlistment as a Stoker in the Royal Navy in 1879, Daniel had some 90 brothers, sisters and cousins all living in the Chatham, Rochester and Strood area on the River Medway! He appears to have been the first of the Wadhams dynasty to have turned his back on a life of working the Medway in favour of the larger outside world. The fact that his Royal Navy service record gives his year of birth as several years earlier than it actually was suggests that he may have been keen enough to escape the confines of family life in Strood to have deliberately lied about his age in order to enlist! What makes Daniel Wadhams' Navy career all the more interesting is that it spanned the period of the late 19th and early 20th centuries which saw the Royal Navy's transition from square rigged, wooden hulled ships-of-the-line to steam-powered, fully-armoured preDreadnought Class battleships. This evolutionary period of British naval architecture is amply illustrated by the wide variety of vessels upon which Daniel served, as shown below. A group of Royal Navy Stokers typical of the period during which Daniel Wadhams served. 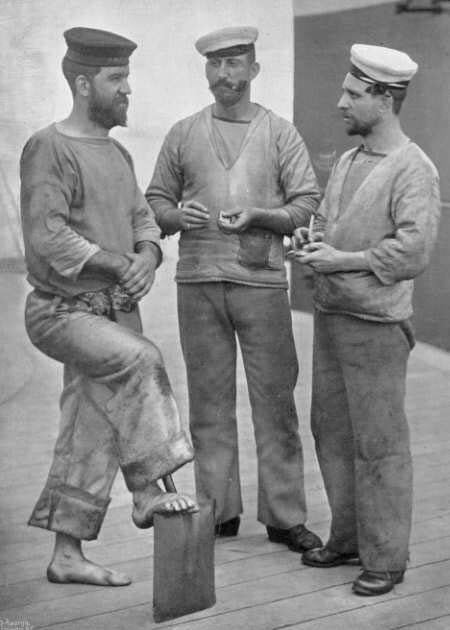 Of particular interest was Daniel Wadhams' service on HMS Polyphemus from 1890 to 1892. The Polyphemus Class was conceived by Admiral of the Fleet Sir George Rose Sartorius as the answer to the growing threat posed by small, light torpedo boats to British capital ships of the late 19th century. The Polyphemus was a low-freeboard 2,640 ton twin-screw Torpedo Ram ship whose only armament consisted of her bow ram and battery of forward-firing torpedo tubes. Her superior speed and ultra-low silhouette enabled her to hunt down the marauding attackers and sink them by means of ramming or by torpedo. The Polyphemus was the only ship of this unique class to have been constructed. Also of note was Daniel Wadhams' service aboard the steam-and-sail corvette, HMS Carysfort. He was a crew member in 1882 when the Carysfort took part in the landing of Royal Marines Light Infantry and Royal Navy Bluejackets at Ismailia, Egypt, in the aid of European residents who were under attack by Egyptian troops. In 1884 the ship's company was also heavily employed in punitive actions against the Dervishes along the Red Sea coast, and again in 1885 men from the Carysfort were involved in the attempt to regain control in the Sudan. Daniel Wadhams transferred to the Royal Fleet Reserve at Chatham, Kent, in 1901, and finally completed his naval service in 1910. 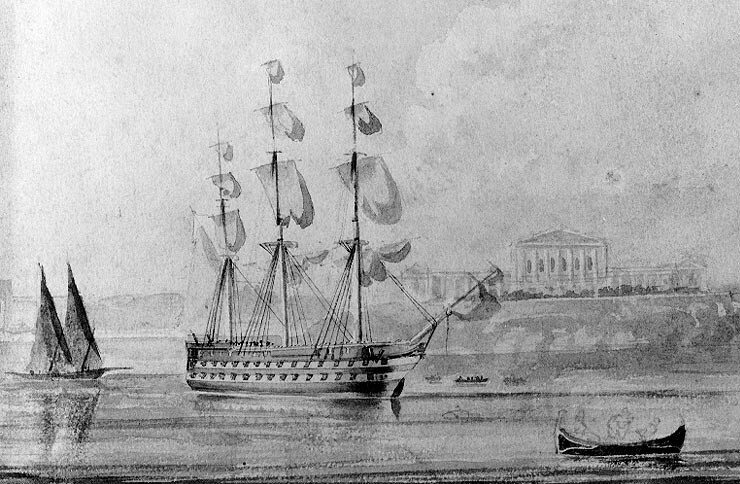 The Asia was a 3,594 ton wooden-hulled ship-of-the-line that last saw action at Navarin in 1827. She was latterly employed as a hulked Guard Ship of Reserve. 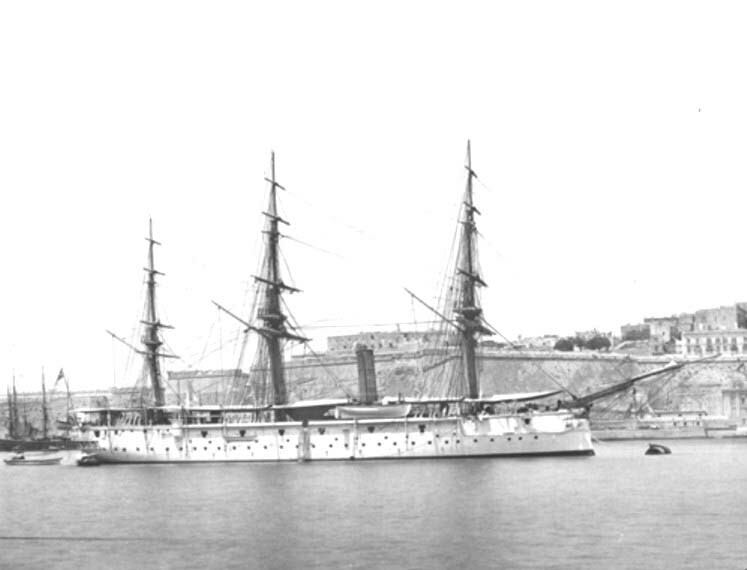 The Asia is depicted here at Valetta Harbour, Malta, in 1865. The Duncan was a 1st Rate Ship-of-the-line built in 1859, and the third to bear that name. Her armament consisted of 38 x 8" guns and 62 x 32pdr. 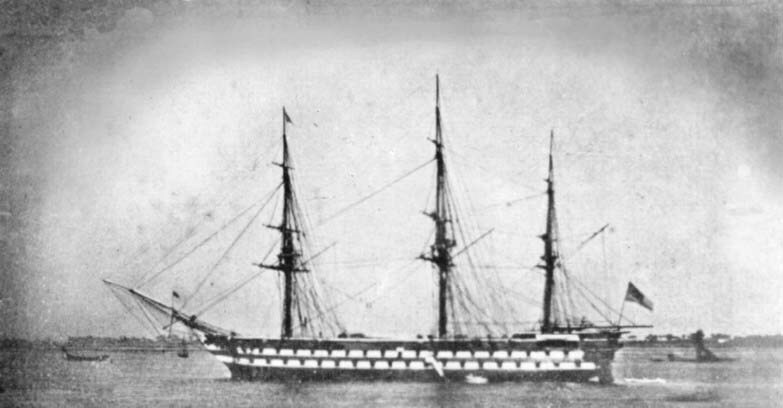 She was renamed Pembroke in 1889. 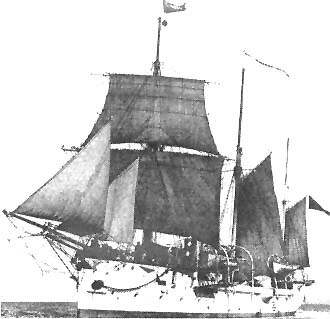 The Carysfort was a 225 ft. steel-hulled corvette powered by both steam and sail. By all accounts her speed under canvas was as fast as contemporary clipper ships. 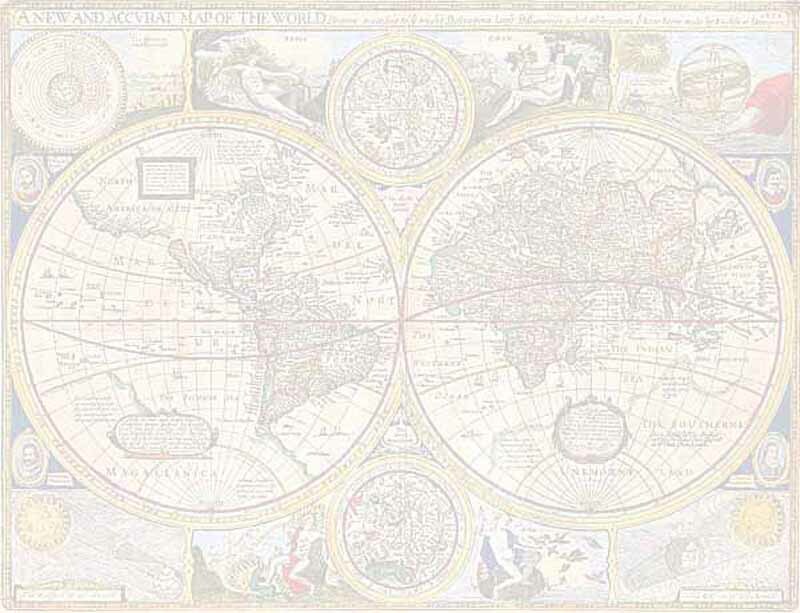 She saw extensive action in the Mediterranean and Red Sea in the 1880s. The Sparrow had a long and interesting history. She was launched in 1889 as the gunboat Goldfinch. Upon commissioning in 1890 she was renamed Sparrow and reclassified as a three-masted auxiliary Barquentine. In addition to her square rigging, she was also powered by a pair of steam engines. Her main armament consisted of 6 x 4" guns. 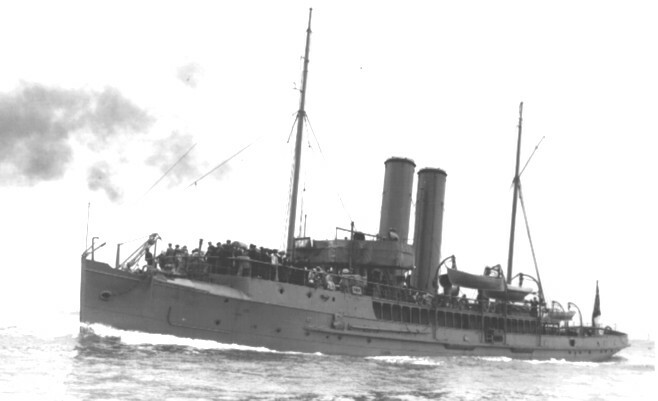 The Sparrow was sold to the New Zealand Navy in 1906 and subsequently renamed Amokura. 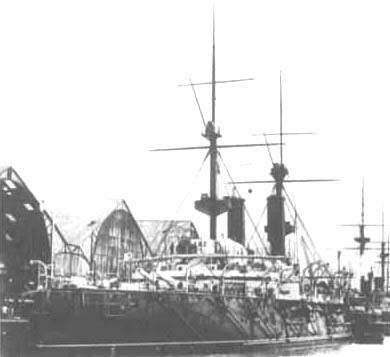 The Hearty was a 1,300 ton twin-screw Special Service Vessel commissioned at Sheerness in 1889. Little else is known about her role other than that she was engaged in "Particular Service" in 1890. The Polyphemus was one of the most fascinating vessels to enter service with the Royal Navy during the 19th century. 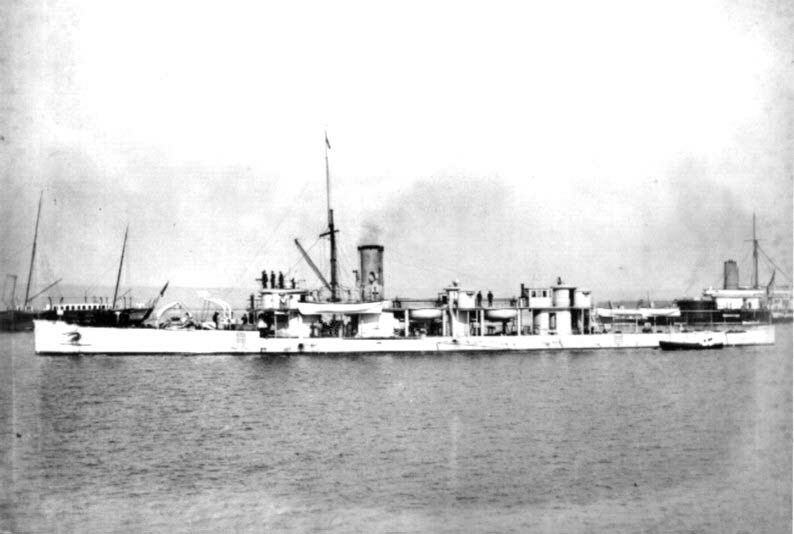 She was conceived in 1880 as a Torpedo Ram ship, a fast, shallow-draft, low-profile vessel designed to penetrate enemy harbours at speed and sink anchored ships, and saw extensive service in the Mediterranean during the 1880s and early 1890s. 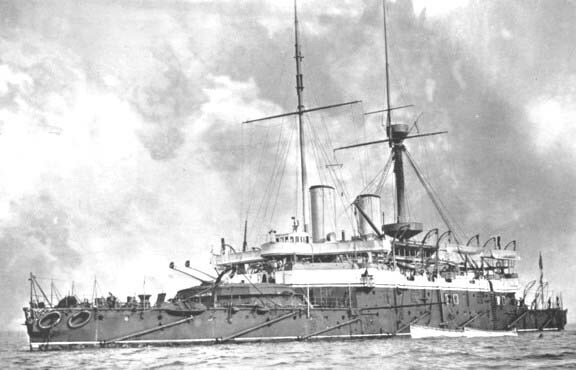 The Repulse was a 14,150 ton twin-screw Battleship built in 1890 at Pembroke. She was capable of 17 knots and was armed with 4 x 67 ton 13.5" guns plus 32 smaller calibre pieces. The Anson was a twin-screwed 1st class Armoured Battleship originally commissioned at Portsmouth in 1889. Her main armament was two pairs of massive 67- ton guns in open turrets fore and aft.